In a recent article about the diamond investment sector in 2016, the Diamond Investment and Intelligence Center examines the diamonds that broke pricing records last year. Eight fancy color diamonds broke auction records in 2016. One of them is the Aurora Green Diamond, a radiant 5.03 carat Fancy Vivid Green – and the largest vivid green diamond to ever be sold at auction. The Aurora Green raked in $16.8 million ($3.3 million per carat). The Oppenheimer Blue diamond, a 14.62 carat Fancy Vivid Blue emerald-cut stone, sold for $58 million, becoming the most expensive diamond ever sold at auction and the largest vivid blue diamond ever sold at auction. Another prominent blue diamond was the 4.29 carat Fancy Vivid Blue IF diamond. It sold at Christie’s in Hong Kong for a record $11.8 million ($2.756 million per carat). The largest Fancy Intense Blue Diamond ever to be offered at auction was sold by Christie’s as well – The 24.18 carat Fancy Intense Blue called the “Cullinan Dream”. It set several records when it was sold for a total $25.365 million ($1.05 million per carat). Some pink diamonds made history in 2016 as well. One of them, the “Unique Pink”, is a 15.38 carat Fancy Vivid Pink diamond that was sold by Sotheby’s Geneva for a record $31.56 million ($2.05 million per carat), making it the most expensive pink diamond ever sold. The second largest Fancy Pink ever to be offered at auction is a 18.51-carat diamond. This stone was sold at Christie’s Geneva for $9.77 million ($528k per carat) – both prices making records for a Fancy Pink diamond. Other unique fancy color diamonds also brought “incredible high prices”, according to the piece, even if they did not break records. The main reason for these diamonds making so much money, claims the author, is their rarity: “We know that the 2016 Argyle collection, the rarest diamonds of them all, were sold at record prices in its over 30-year history. These ten diamonds made incredible historic prices. 2016 may have been a tough year for colorless diamonds, but for fancy color diamonds it was the complete opposite”. THE CULLINAN WONDER: HOW WAS THE LARGEST EVER ROUGH DIAMOND CUT? 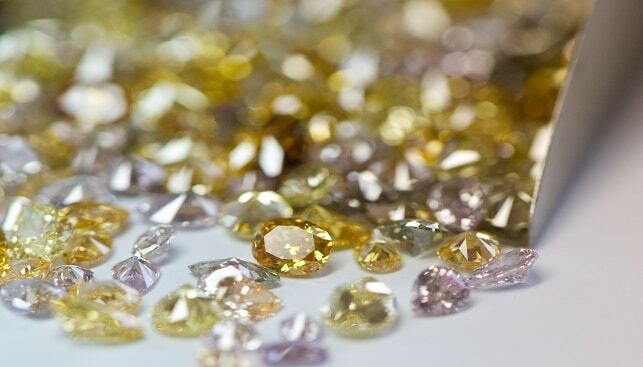 Could the secondary market for natural diamonds push the entire industry forward? Monroe wore the diamond while performing the inimitable "Diamonds Are a Girl’s Best Friend"